With hundreds of new websites being launched every day – do you stand out from the noise? We were previously known as “Fledgling Designs”, but have gone to the next level ourselves and recently rebranded to Elevate Websites. ARE YOU READY TO PARTNER WITH ELEVATE WEBSITES? Our clients don’t only get a great website, they get a true digital marketing business partner. Whilst we pride ourselves on delivering quality and customised websites for Melbourne businesses, what we enjoy most is seeing businesses succeed. We want to partner with you to not only relieve you of the online business challenges so you can focus on your business, but be a part of you having the business you want and enjoy working in. Unlike a lot of other web designers, building a website with us is an ongoing relationship, not a one off transaction. We won’t leave you in the lurch when we build your website – we’ll stay in regular contact to ensure you’re website continues to meet your needs and grows with your business. More & more people are likely to search for you online before engaging with you which is why we want to make sure you’re there for them to find & that you’re making a good impression! Business is about building relationships so give people a chance to get to know you before you get to know them. People’s online activity is increasingly being done on the run with mobile phones and tablets. It’s critical to keep this in mind when designing a website. Rest assured that we’ll make you look good whether you’ve been found via a desktop, laptop, tablet or mobile phone. Your website will expand your reach and allow you to let your customers know where, when and how they can find you! We’ll also set you up so you can let customers know when you have a new product, service or change in operating hours in a couple of clicks! Of course, we’re more than happy to help manage these changes on your behalf. An important component to the optimization of your site is tracking the analytics and statistics of your site. Our comprehensive reports include things like: – Tracking where visitors have come from; – How they move within your site; – What they like best so we can do more of it! Search engines value the “authority” of a business website. One way they determine this is to see if there are any other sites are “talking” about you. Online this means who’s “linking & connecting” with you. Where relevant, we will work to provide good quality links to your site. We will assess the importance of this as we review your business and your competitors. Finally, we work to provide your business website with high quality, professionally written content and articles relevant to your site. The creation of content is so important to not only let clients know about you and your services, but to let Google know what you do and who you want to work with. Good quality content can take a lot of time and resources, so let us do this heavy lifting for you. 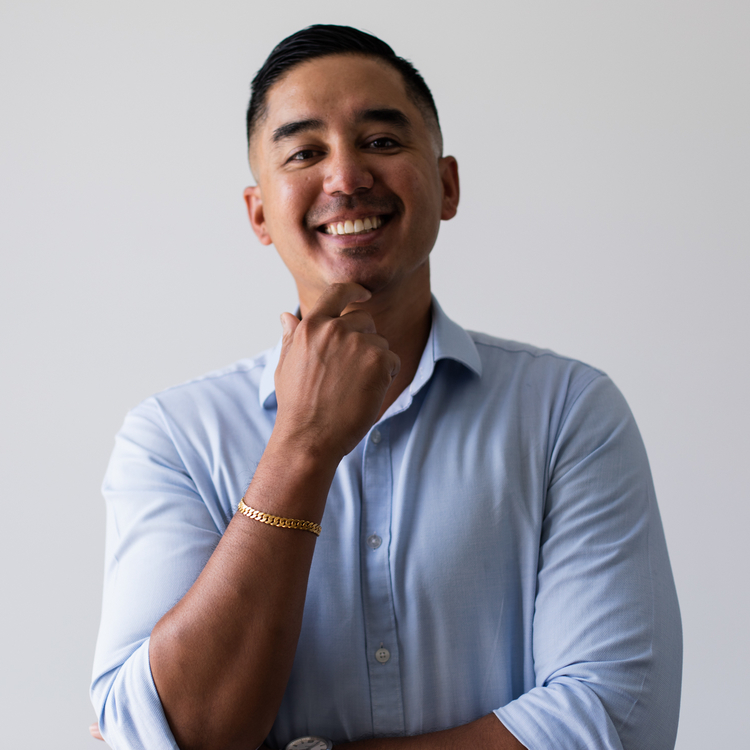 Calem has a unique blend of corporate and small business experience where he has worked in, and with a number of ASX companies as well as establishing a number of online and offline businesses. He has now combined this experience with a passion for digital creativity to partner with businesses and ensure they have the best personalised web presence for them and their business. This is your chance to work with someone who’s been in your shoes. We have previously run a successful photography and e-commerce business so we know how hard it is to find a decent web designer. Personally we became really frustrated with what web designers were charging ($18,000+) and they were terrible! We know what it’s like to sacrifice everything – eating baked beans on toast every night. Okay, and maybe mixing it up with some 2-minute noodles, but you get it. The point is, we care. If you give us an idea, we get involved and take you to the next level. We get businesses seen. We build websites and help you with SEO. We’re your one stop shop – your designer, marketer and techie all in one. We love helping businesses grow and we’re dedicated to helping you get there. We grab a coffee, we get to know you and your business and you get some cool advice on how to optimise your website. No prep needed, but you can bring your ideas and some examples of sites that you like. After coffee, we’ll create a fully functional mockup site so you can be sure that you like the look and feel. Then we take care of the domain, the hosting and the software. The end product is a website that reflects your brand and image, is seamless to navigate, beautifully designed and converts your potential customers into buyers. People who’d love to make a bigger impact. You want more customers to benefit from your business and make more money doing what you love. You’re also dedicated to being exceptional at what you do, and time poor – that’s why we’re here to help.